What makes the bookstore special? 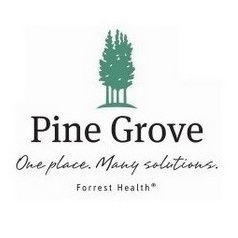 Pine Grove Books and Gifts has the distinction of being the only bookstore, solely devoted to behavioral health and self-help literature, in Mississippi. Open since 2004, this gem of a bookstore is conveniently located near Forrest General Hospital. Pine Grove Books and Gifts has a wide selection of books that address topics such as depression, eating disorders, relationships and spirituality. In addition, the bookstore has a special selection of children’s books. It distinguishes itself by being one of only two bookstores in Mississippi that sponsors the Association of Booksellers for Children. Looking for something besides books? The bookstore is the perfect place to purchase gifts for any occasion. Choose from a selection of scented candles and other personal growth gifts. Pine Grove Books and Gifts is the one-stop-shop for your literary and gift shopping needs. Stop by and check it out!